While the Santa Cruz Mountains may have gotten most of the rain and left our rainfall totals still languishing way below average, at least there’s now a little water in the creeks and some snow on the hills. For the first time since last fall it’s … finally … starting to seem like a rainy season again. Only two of the Santa Lucia’s rainiest mountains, Three Peaks and Anderson Peak, even managed to top 5 inches for the past week – about a quarter of what the rainiest spots in the Santa Cruz Mountains got – and the dry ground soaked up most of it. The highest flow recorded on a Santa Lucia stream was about 1,000 cubic feet per second on the Nacimiento River. 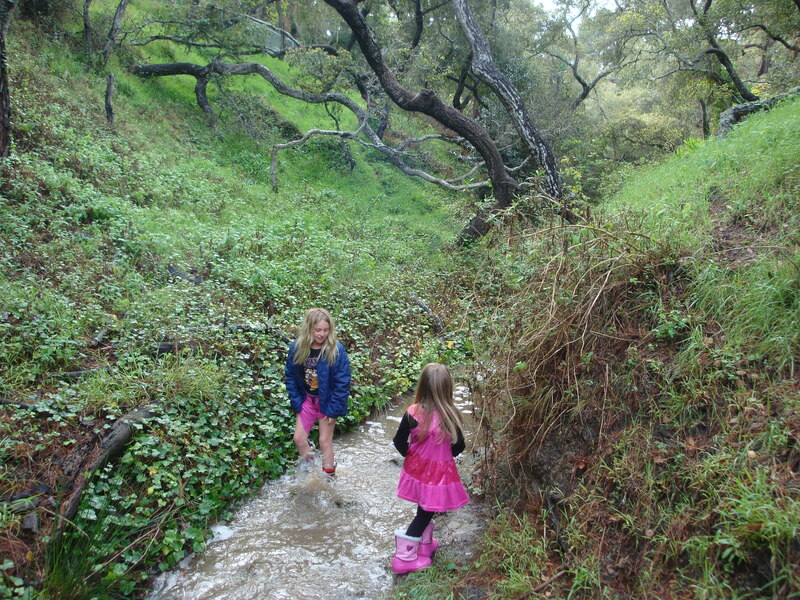 Even diminutive little Corralitos Creek, in the Santa Cruz Mountains, was flowing at about twice that rate. It’s a start, anyway. Let’s hope we get a few more weeks like this one before next summer. This entry was posted on Monday, March 19th, 2012 at 9:01 am and is filed under Fire, Flood & Apocalypse, Santa Lucias, Water. You can follow any responses to this entry through the RSS 2.0 feed. You can leave a response, or trackback from your own site.